Mike has been traveling a lot for work of late. So that means that I have to make dinner when I get home from work; Mike normally gets home before I do and usually will get the meal started. I am so lucky in that sense and when he is traveling I really miss coming home to house that has an aroma of food cooking. One way I try to change things around is to do things in advance, such as starting the meal the night before or using a crock pot. Of course using the crock pot is my first choice, having my dinner cooking away in the crock pot gives me that aroma of food when I first open my door. I am always hungry when I get home from work so that smell of food when I walk into the house is always a good thing. 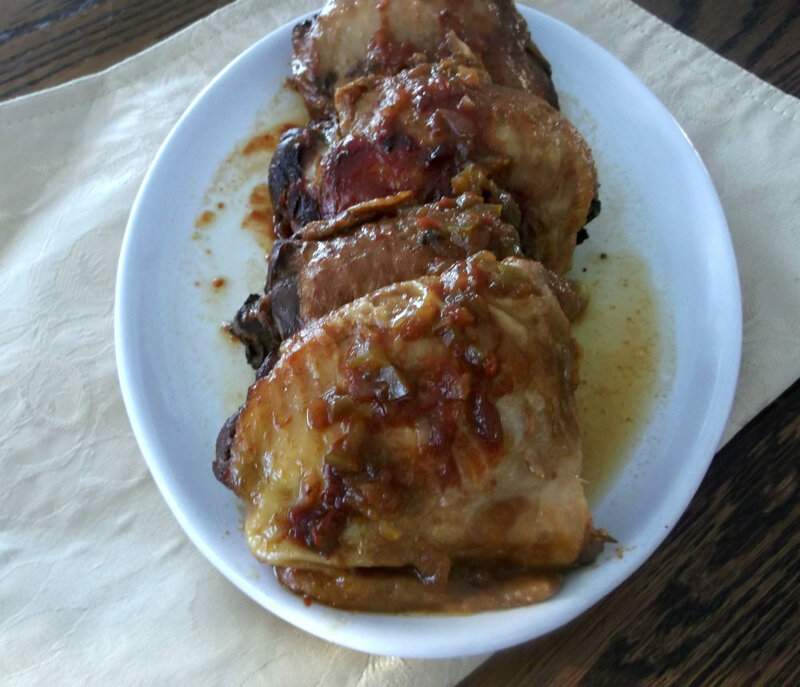 I made this chicken the other night that had a sweet and tangy sauce, something like a barbecue sauce. After cooking away for the day the chicken was tender and juicy and the sauce was nice and tangy. 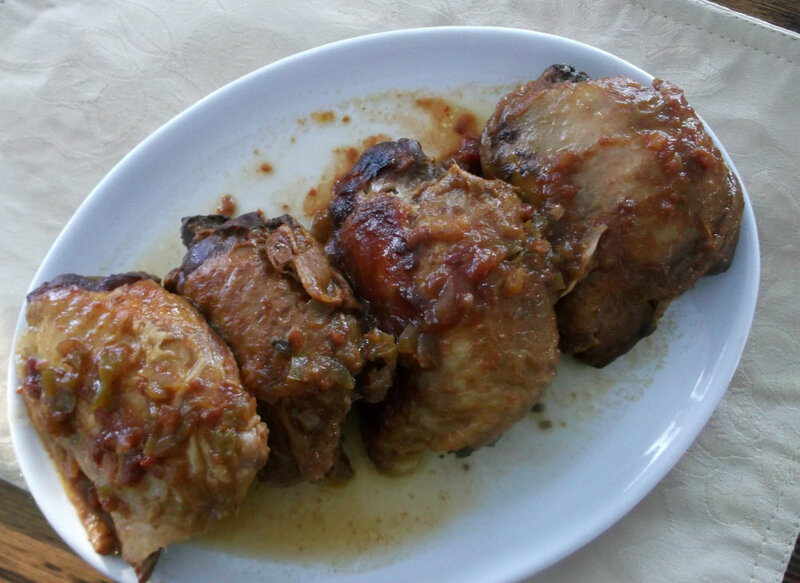 Chicken that is perfect for a hungry person after a long day at work. Place chicken into the crock pot and set aside. Combine the remaining ingredients into a small sauce pan stir until well blended. Cook over medium heat until heated. Pour over chicken in crock pot. Turn the crock pot on low and cook for about 8 hours. Serve. I love chicken and I love sweet and savory! This is perfect for me! 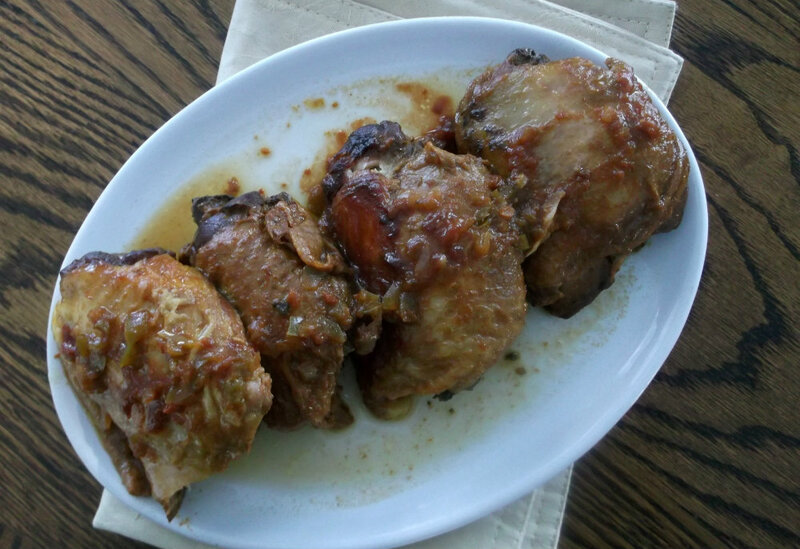 The sauce sounds delicious and the chicken looks tender and juicy. This looks so good. I think I should get multiple pots to keep in the fridge during the week. It would be awesome to have them throughout the week. Thanks for the recipe! I love chicken, particularly with a nice sauce. This looks superb – great flavor combo. And any dish that basically cooks itself is a winner! Good stuff – thanks.